4 Apps to Help You Save or Earn Money! Saving Money in the New Year! 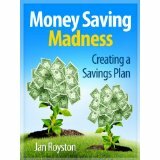 Small Savings WILL Make A Big Difference!